limited access to education and health services, and persistent discrimination and violence. 31 Million Girls of primary school age and 32 Million Girls of lower secondary school age are out of school. 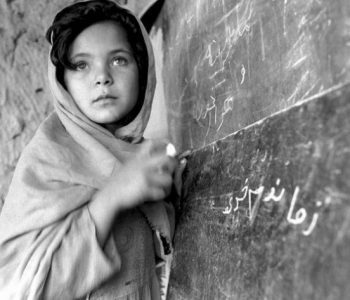 Of these 17 Million Girls are never expected to enter the school. 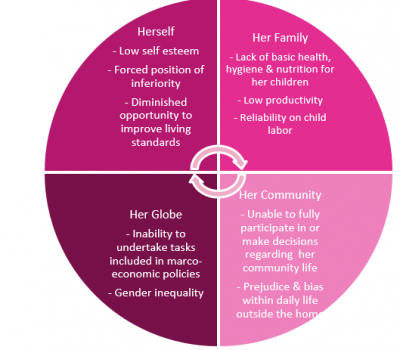 320 Million Girls are living below the poverty line; with limited access to the outside world. Globally, women’s participation in the labour market remained steady in the two decades from 1990 to 2010, hovering around 52 per cent. The gap between participation rates of women and men has narrowed slightly in the last 20 years but remains considerable. If all mothers completed primary education, maternal deaths would be reduced by two-thirds, saving 98,000 Lives. Women with a primary education earn 51 per cent what men earn. With a secondary education, they earn 70 per cent what men earn. Female employment to male levels can have a direct impact on GDP growth rates, increasing it by as much as 34 per cent in some countries, and that countries’ productivity can increase by as much as 25 per cent if discriminatory barriers against women are removed.